Sapa is orientated to make the most of the spectacular views emerging on clear days; overlooking a plunging valley, with mountains towering above on all sides. Views of this epic scenery are often subdued by thick mist rolling across the peaks, but even when it's cloudy, local hill-tribe people fill the town with colour. If you were expecting a quaint alpine town, recalibrate your expectations. Sapa's French colonial villas fell into disrepair during successive wars with the French, Americans and Chinese, and modern tourism development has mushroomed haphazardly. Sapa today is undergoing a construction boom and, thanks to rarely enforced building height restrictions, the skyline is continually thrusting upwards. But you're not here to hang out in town. 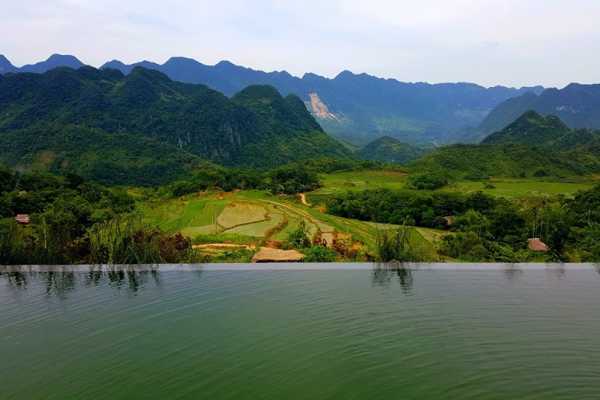 This is northern Vietnam's premier trekking base from where hikers launch themselves into a surrounding countryside of cascading rice terraces and tiny hill-tribe villages that seems a world apart. Once you've stepped out into the lush fields you'll understand the Sapa area's real charm. Whether you travel by public transport or with your own vehicle, you need to allow around six days’ actual travelling time to cover the northwestern region. Touring the entire northeast also requires at least six days including Ha Giang Province, but more if you want to spend time on Ba Be Lake, or visit Pac Bo Cave or Ban Gioc Waterfall near Cao Bang. Combining the northwest and northeast loops gives you an unforgettable two weeks of exploration, but bear in mind that travelling these roads is unpredictable, becoming downright hazardous during the rains (see When to go), and it’s advisable to allow some flexibility in your programme. 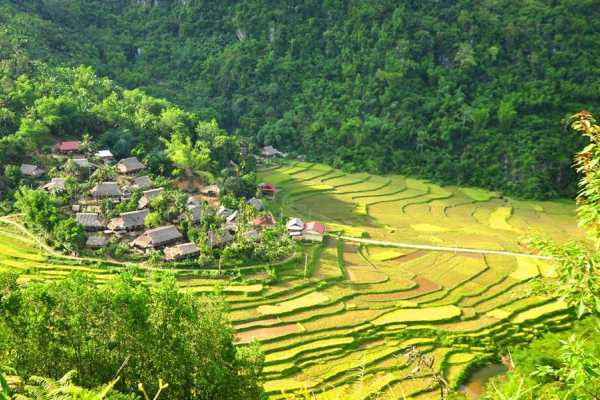 If you’ve got only limited time, Sa Pa, Mai Chau and Ba Be National Park make rewarding two- or three-day excursions out of Hanoi, either by public transport or hired vehicle. The other alternative is to join an organized tour with OceanTours one of the famous Hanoi’s tour company.